Today initiated by Pedal Pushers, almost 150 riders took to the streets of Colombo, supporting the World Bike To Work Day. Pedal Pusher cyclists comprised of riders representing the corporate sector, government sector, entrepreneurs, professionals and the like. Most importantly, Pedal Pushers ‘share the road with cyclists’ initiative was projected to drivers during the ride across the busy streets of Colombo. For safety on the road, Dedicated Cycling Lanes are on the cards as expressed by the Road Development Authority (RDA) Chairman Nihal Suriyaarachchi. All the newly built roads come equipped with the cycle lanes although they are currently used by the general public for parking purposes due to the fact that the bicycle sign hasn’t been put up yet on these lanes. 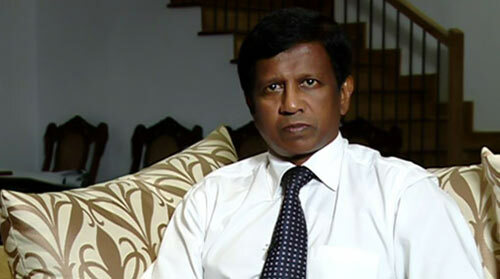 Furthermore according to the Chairman of RDA, the education and implementation is now in progress and the full implementation will be happening in the near future by the backing of the Sri Lanka Police. This effort is fully supported by the DIG Sri Lanka Traffic Police, where as no sooner than the cycle lanes are set up, and proper markings have been put up, the police will start strict law enforcement on this matter. Cycling is expected to positively transform Sri Lanka into a sustainable country. Constructing Cycle lanes are good for a cleaner environment and especially for school children. Good example is the Netherlands. They have a special network of cycle paths including traffic lights for cycles. However, authorities should make sure once these cycle lanes constructed they will be not removed in the night such as Wattala walking paths.